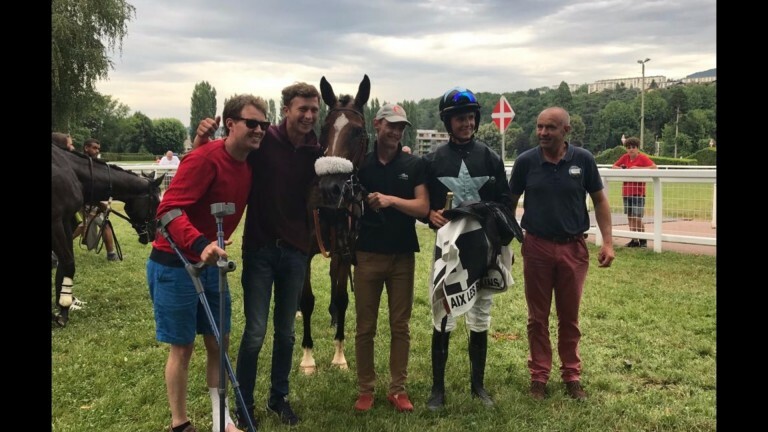 Riding in France has not exactly backfired for James Reveley, who was crowned champion jump jockey there last year, and while only a summer stint across the Channel is on promising conditional Harry Beswick's agenda, he is keen to grab the opportunity with both hands. Beswick is attached to Grand National-winning trainer Oliver Sherwood's Lambourn stable, but will spend the summer in France with Emmanuel Clayeux, who won a cross-country chase at Cheltenham in January with Urgent De Gregaine and saddled Vezelay to finish third in last season's Betfair Chase. He trains not far from Lyon and will supply Beswick with his mount Tiep De L'Est in Sunday's Grand Steeple-Chase D'Aix les Bains near the Swiss and Italian borders. "For the past month until September I'll base myself in France with Emmanuel and then return to Oliver's," said 7lb claimer Beswick, who has a new agent in Craig Thompson. "Oliver is an absolute gent, who has given me free rein. I'm not going to be busy back in Britain until September, so I can be out here for as long as I need this summer." Beswick, who says his French is getting better, added: "It's going well over here and I'm riding plenty for Emmanuel and had a nice winner last week and have a few decent rides coming up, including on Sunday, which should be a good race. I'm very busy, based more at the provincial tracks, but they are good races with good prize-money. "It's a great opportunity and I came out here last summer as well through Felix de Giles, who is Emmanuel's stable jockey. That's how I got the job and it's great to be busy and riding around different tracks. "The weather's hot and it's very laid back - I love the way the French train - and the atmosphere is very tranquil and relaxed." Beswick, 21, has ridden seven winners and enjoyed a career-highlight double on the Sherwood-trained Amberjam and The Fresh Prince at Uttoxeter in January, while he will also link up with Sam Thomas among others when he returns to Britain for the start of the core jumps season in the autumn.